One of my dear friends enjoys tequila. Not the kind you might recall ‘tasting’ as a high school student and then getting sick from. The kind of tequila that is not meant to be consumed too quickly in massive quantities. The kind of tequila my friend likes are those that often come in distinctive and pretty bottles. I’m not a frequent tequila drinker, but I do enjoy a taste of it from time to time. 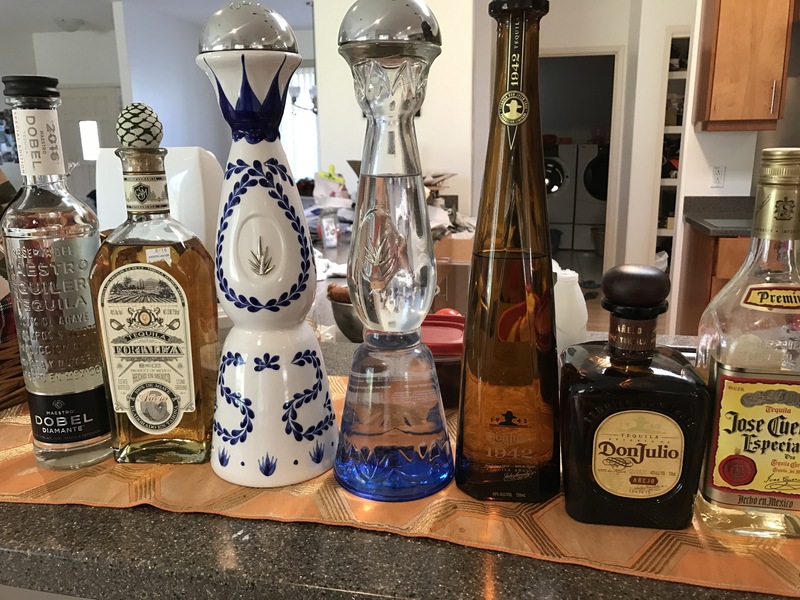 So when my friend suggested that we have a tequila-tasting night, I jumped on the idea and invited a group of friends over. We admired the pretty bottles and enjoyed a variety of tequila and compared the aroma and flavors of each one. We even compared the higher rated ones with the Jose Cuervo Especiale that we had in our cabinet–no comparison. The tequila in the pretty bottles tasted better. 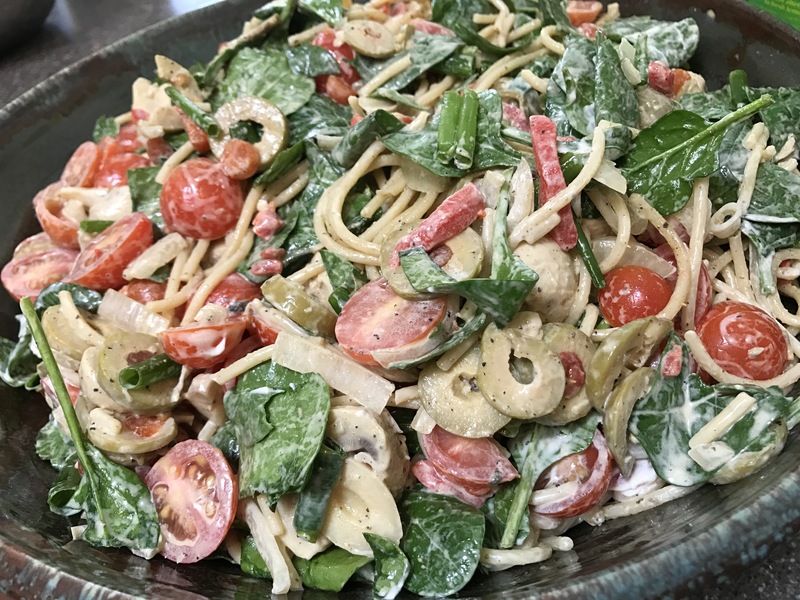 It was a heavy pupu night and the dish I decided to contribute was a Greek pasta salad. So easy! Just boil some pasta, chop some onions, slice some olives, slice some mushrooms, dice some tomatoes, and chop some green onions. Add a jar of sliced pimentos, add a bag of fresh spinach. Mix all ingredients together with some lemon juice, olive oil, Cavender’s Greek seasoning, and mayonnaise. Chill and serve. Easy, easy, easy. I have been friends with this group of parents since our children were born. We enjoy spending time together and watching our children grow up together. One of the girls had just celebrated her 13th birthday the day before so we decided to celebrate with some singing and a cake. Tequila-tasting night was a success–good tequila, good friends, good food, good fun. Living Hilo Style.